High blood pressure, also known as hypertension, is a condition where the blood circulation involves a high level of force against the walls of the arteries. While there often are no symptoms of high blood pressure, it can cause health issues, some of which are severe, like heart disease and stroke. Medication is typically prescribed by a physician; however, there are many 100% natural home remedies for high blood pressure. Cardamom is a natural herb and among the healthiest, and tastiest, home remedies for high blood pressure. The Indian Journal of Biochemistry & Biophysics reported a study showing one teaspoon of cardamom powder taken daily for several weeks significantly lowered blood pressure. Ginger and cinnamon are spices that also are anti-inflammatories and improve blood circulation. As a high blood pressure treatment, enjoy a warm tea made from these all-natural ingredients. Crush cardamom pods to release the oil, but do not worry about grinding them. Mix the cardamom, ginger, cinnamon and milk in a saucepan and bring to a boil. Allow it to simmer for six to nine minutes until it turns a caramel brown color. Add honey and strain into a mug. This healthy and tasty tea can be enjoyed one to two times a day. Lemons are one of the most natural home remedies for high blood pressure. They are an antioxidant and aid the body in its ability to discard waste. For people with hypertension, lemons help keep blood vessels soft and flexible, allowing blood to flow smoothly and keeping the heart in shape. To treat high blood pressure, simply extract the juice from one lemon and mix with six to eight ounces of water, which can be hot or cold. Drink two to three times a day to maintain a healthy heart. Hibiscus has been used for centuries as a natural medicinal remedy, and is often an ingredient in herbal teas. It is a natural diuretic and helps remove excess fluid build-up and sodium from the body and bloodstream, which decreases the pressure within the arteries. Hibiscus also serves as a natural angiotensin converting enzyme, or ACE, inhibitor, which is a commonly prescribed prescription drug used to treat high blood pressure. While hibiscus is not as strong as prescription ACE inhibitors, it is among the most effective home remedies for high blood pressure. Mix one to two teaspoons of dried hibiscus into one cup of hot water. Optional additions can include honey, lemon or cinnamon sticks. Watermelon contains citrulline, an organic amino acid that converts to L-arginine when digested. L-arginine aids in the production of nitric oxide which widens the blood vessels in the body and helps with blood pressure regulation. The wider blood vessels help lower the amount of strain the vascular system experiences so blood can be effectively pumped and flow easily throughout the body. Watermelon also helps with kidney function, which further helps regulate blood pressure by allowing the body to discard sodium effectively. To enjoy the properties of one of the most delicious home remedies for high blood pressure, eat one to two cups of fresh watermelon daily, preferably on an empty stomach. Another option is to create a drink by boiling two teaspoons of watermelon seeds in one cup of water. Allow the seeds to steep for an hour and then strain. Drink four tablespoons of the water at a time throughout the day. Hawthorn is a herbal medicine and among the healthiest home remedies for high blood pressure. It contains several flavonoids, but the most effective for heart health are oligomeric procyandins (OPC’s) and quercetin. Flavonoids offer many health benefits and have been the subject of several studies related to heart palpitations, arrhythmia, blood vessel condition, and blood pressure. They also aid in regulating the metabolism and blood glucose levels. Flavonoids widen blood vessels, helping them more effectively and efficiently transport blood throughout the body, thereby reducing blood pressure. As a treatment for high blood pressure, mix the Hawthorn powder and cinnamon in a bowl. Add a tablespoon of raw honey and one tablespoon of water to form a paste. Add cocoa powder or carob powder to thicken and form a dough. Roll into small balls about the size of a fingertip. Place on a cookie sheet and dry in the oven at 150 degrees. Store out of direct sunlight in a cool, dry location and enjoy on occasion as a heart healthy snack. Cat’s Claw, or Uncaria tomentosa, is a vine found in South and Central America and is named for its thorns. It has been used for generations for its medicinal benefits. Studies also show that it’s one of the most effective home remedies for high blood pressure by widening the blood vessels and allowing blood to flow more easily throughout the body. It also is a diuretic and helps the body naturally remove sodium and excess fluid. When purchasing Cat’s Claw, make sure it uses the scientific name Uncaria tomentosa as other plants sometimes use the same everyday term “Cat’s Claw.” Add the Cat’s Claw herb and water in a saucepan and bring to a boil. Lower the heat, cover and simmer for 45 minutes. Strain, add honey or lemon to taste and drink daily. Pregnant women, however, should not consume this herb. For those age 21 and over, a little alcohol can serve as an effective method of lowering blood pressure. Boston’s Brigham and Women’s Hospital conducted a study that showed light drinking can reduce blood pressure. Consumption amounts for women should be limited to one-quarter to one-half of a drink, and a drink is defined as 12 ounces if we’re talking about beer, 5 ounces for wine, and 1.5 ounces for stronger drinks like spirits. For men and women, studies have shown that one drink a day for women and two drinks for a man can effectively lower heart disease. Anything over this amount goes under heavy drinking and can harm the body. Syrup is often associated as full of sugar, unhealthy and fattening; however, making it at home offers the ability to control the ingredients and enjoy one of the healthiest home remedies for high blood pressure. Blueberries contain flavonoid quercetin, which helps improve heart function, widen blood vessels and lower the blood pressure within the arteries. Bring to a boil dried blueberries and water, then simmer over low heat until only half of the liquid remains. Strain out the blueberry solids, extract the remaining juice from them and add the juice to the simmering liquid. Add honey, stirring occasionally until well mixed. A thicker syrup is achieved by heating the honey and berry juice for 20 minutes over medium to high heat; however, this step can be skipped if a thinner syrup is desired. Use one tablespoon of syrup daily and store unused syrup in the refrigerator for up to three to four weeks. The syrup can be used as a fruit dip or added to other favorite foods as a topping. 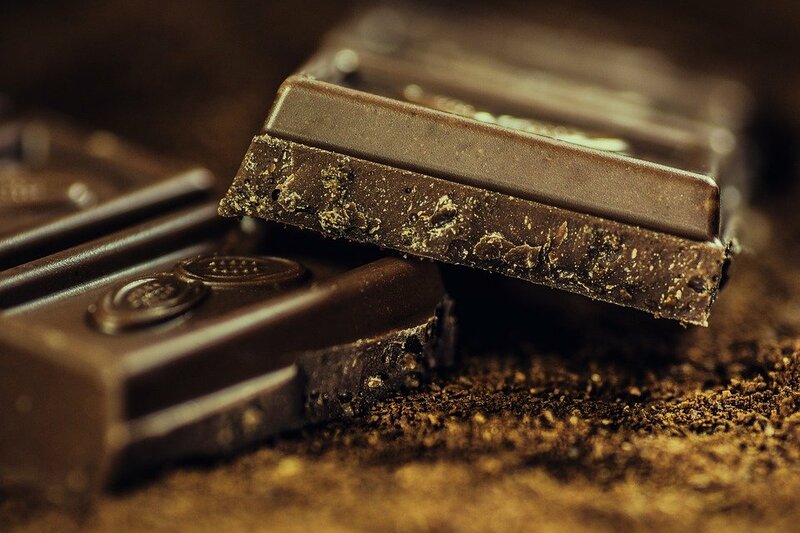 Among the healthy ingredients found in dark chocolate are flavanols, which provide elasticity for the blood vessels and allows them to transport blood effectively throughout the body. One study showed that 18% of patients who consumed dark chocolate daily experienced lower blood pressure. Enjoy one of the tastiest home remedies for hypertension by consuming an ounce of dark chocolate daily that contains at least 70% cocoa. The Omega-3 fatty acids found in fish oil offer many health benefits, including preventing pain and inflammation, improving lung function, and reducing depression. These fatty acids also improve cardiovascular health by lower triglycerides and increasing HDL, the good cholesterol. In fact, heart transplant patients often take fish oil to reduce hypertension risk after surgery. Naturally, these make fish oil an effective home remedy for high blood pressure. Fish oil liquid or supplements in the form of a capsule can be taken daily. Some experience side effects from fish oil supplement pills, so mixing a liquid supplement into a glass of orange juice may be more appealing. Coconut water contains potassium and magnesium, which help improve muscle function. And since the heart is the most important muscle in the body, coconut water is an effective home remedy for high blood pressure. Studies show that coconut water lowers systolic blood pressure, or the function of pumping blood away from the heart to other areas of the body. As a treatment for high blood pressure, drink eight ounces of organic coconut water up to two times a day. Garlic is a natural home remedy for high blood pressure that can successfully treat many health issues. It builds the immune system as an anti-viral and is an anti-inflammatory. Garlic also contains Allicin, an organosulfur compound that lowers blood pressure. The pH level in Allicin may not set well on the stomach when garlic is eaten raw, but fresh, chopped garlic can be added to milk, which helps coat the stomach. 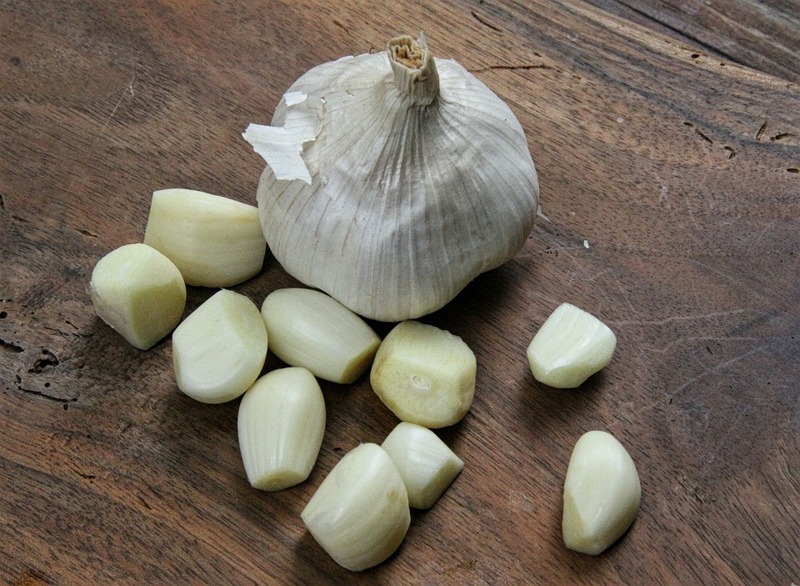 As a treatment for hypertension, peel and chop fresh garlic cloves and add to six ounces of milk. Boil the milk to allow the garlic to seep into the liquid. Allow it to cool to a warm temperature before drinking. If a milk and garlic mixture is unappealing, there are high-quality garlic supplements containing 1.8 milligrams of Allicin per dose. There are many safe and effective natural home remedies for high blood pressure. Whether you’re making syrup or enjoying tea, let us know about your experience with these home remedies or share your own natural remedy for others to try. But remember that the advice of a physician should be sought for ongoing issues as they may indicate a more serious health problem.